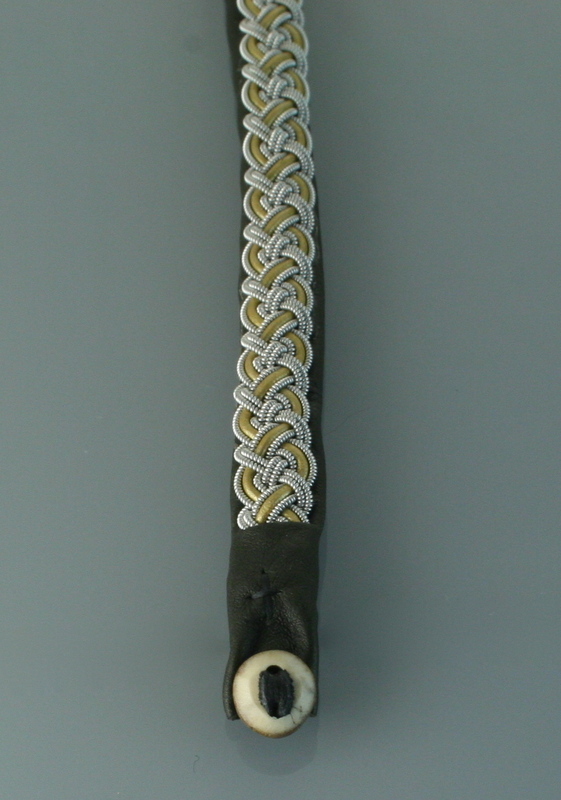 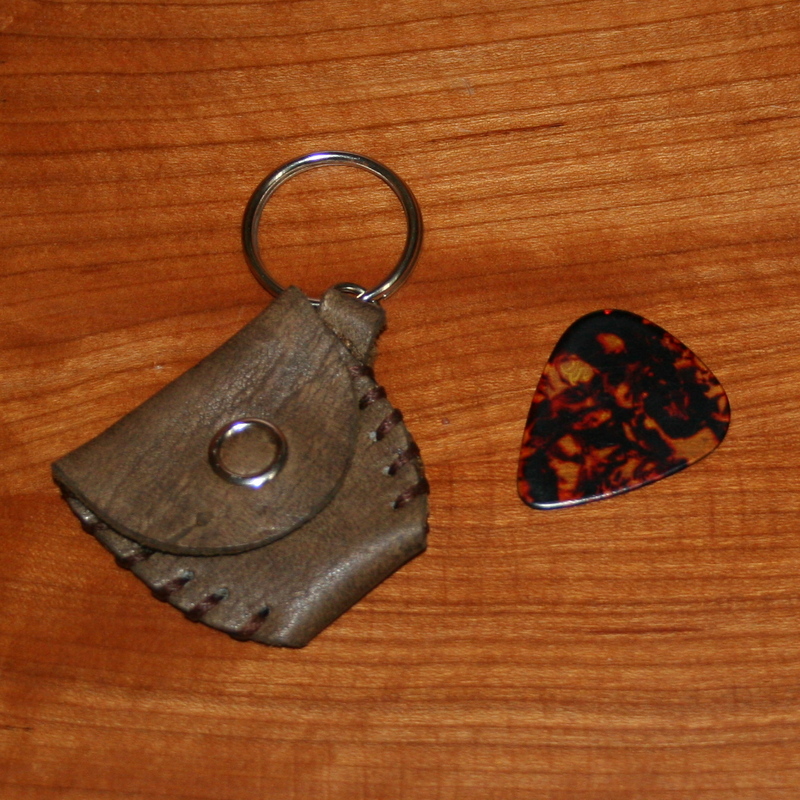 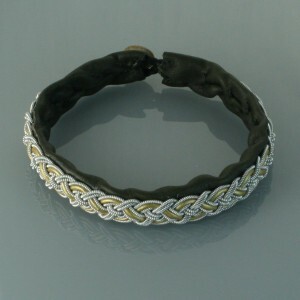 Men’s pewter thread friendship bracelet made with green reindeer hide and a antler button. 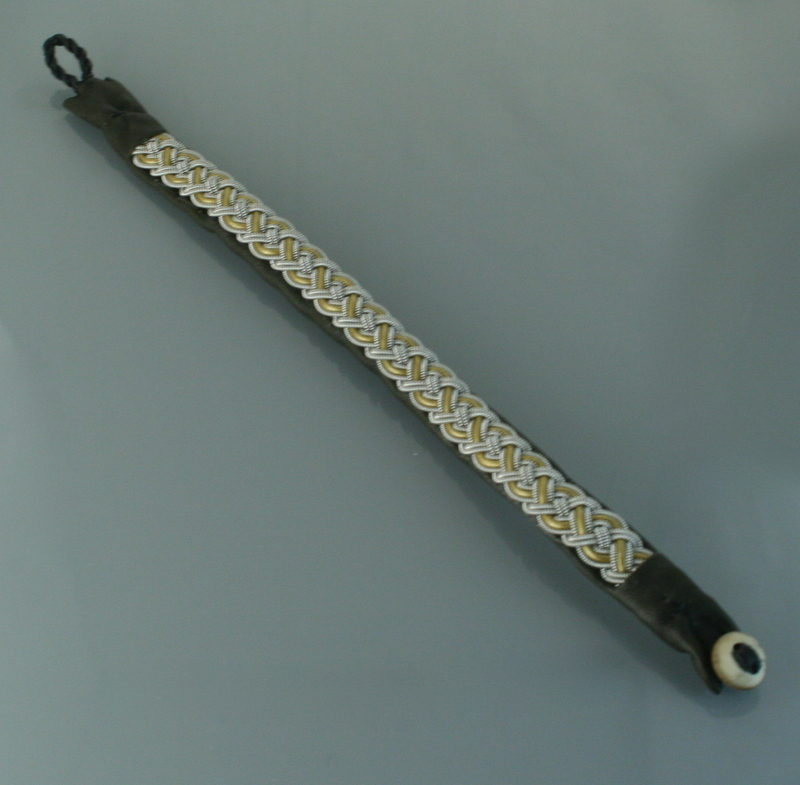 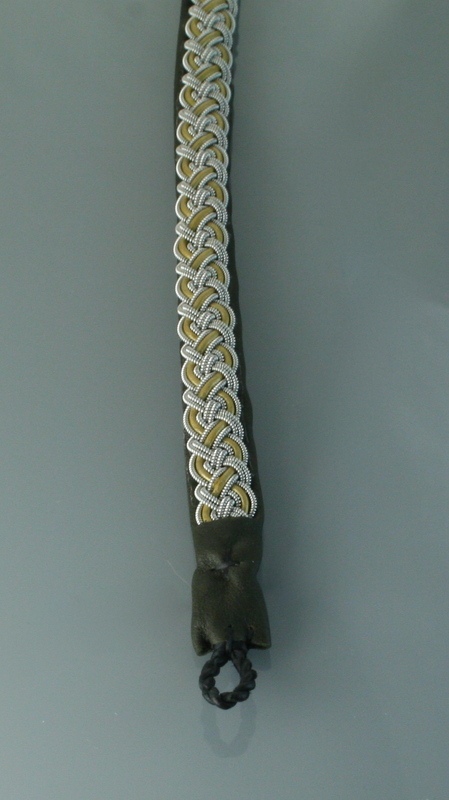 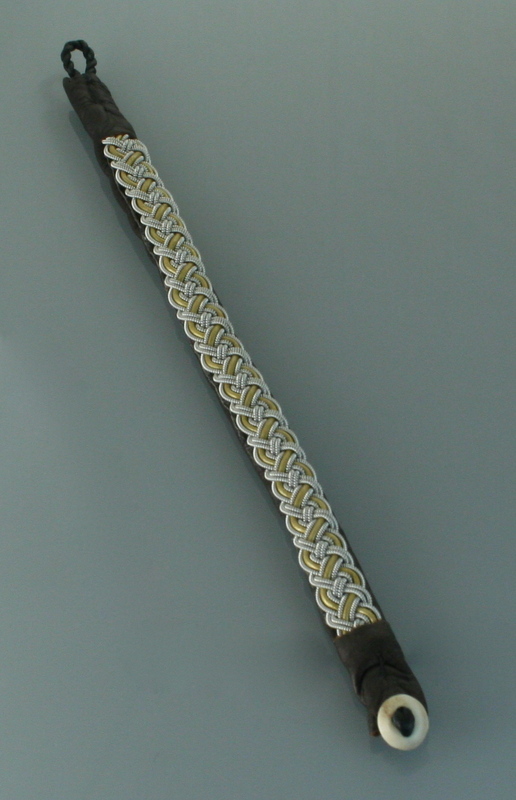 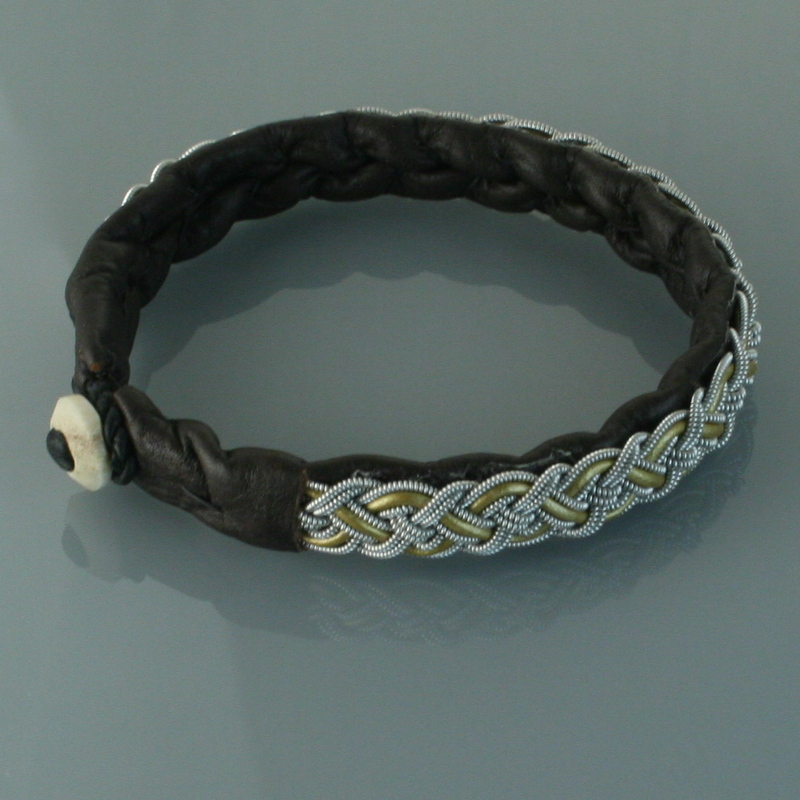 This beautiful Saami style braided bracelet measures approximately 9″ long and the width of the bracelet is 3/16″. 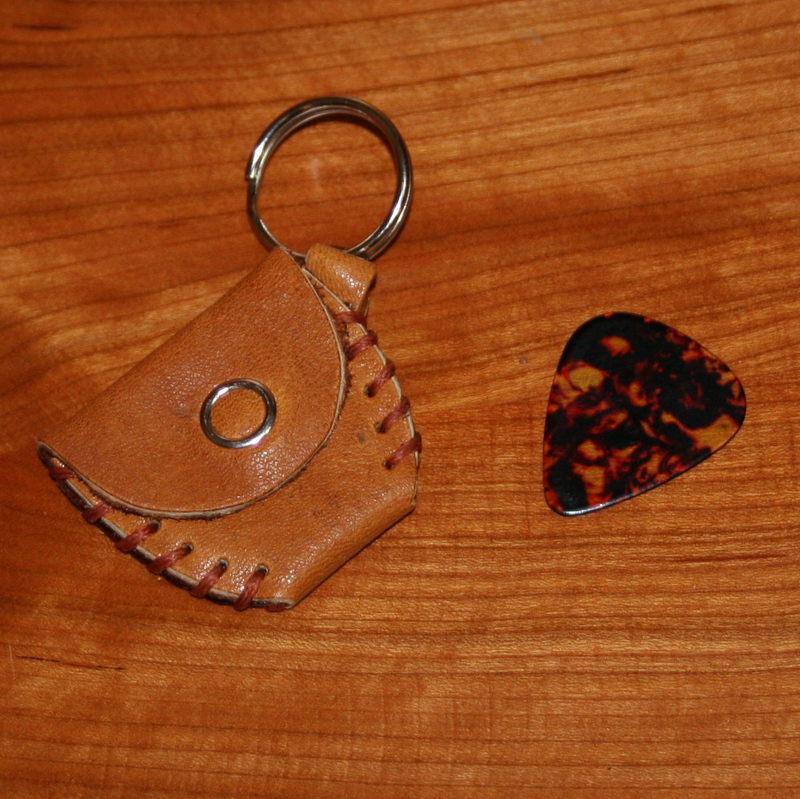 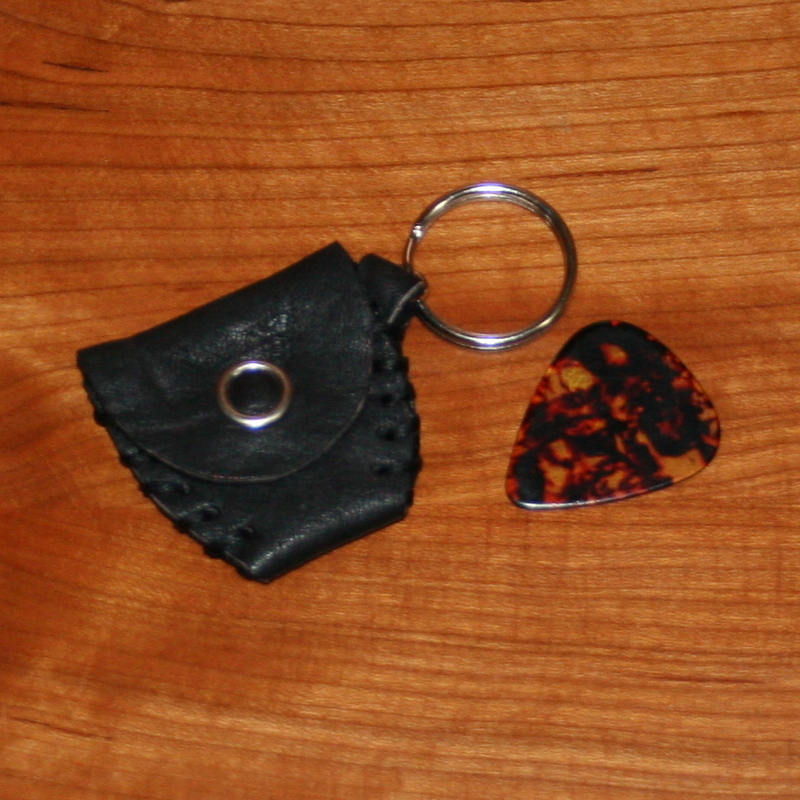 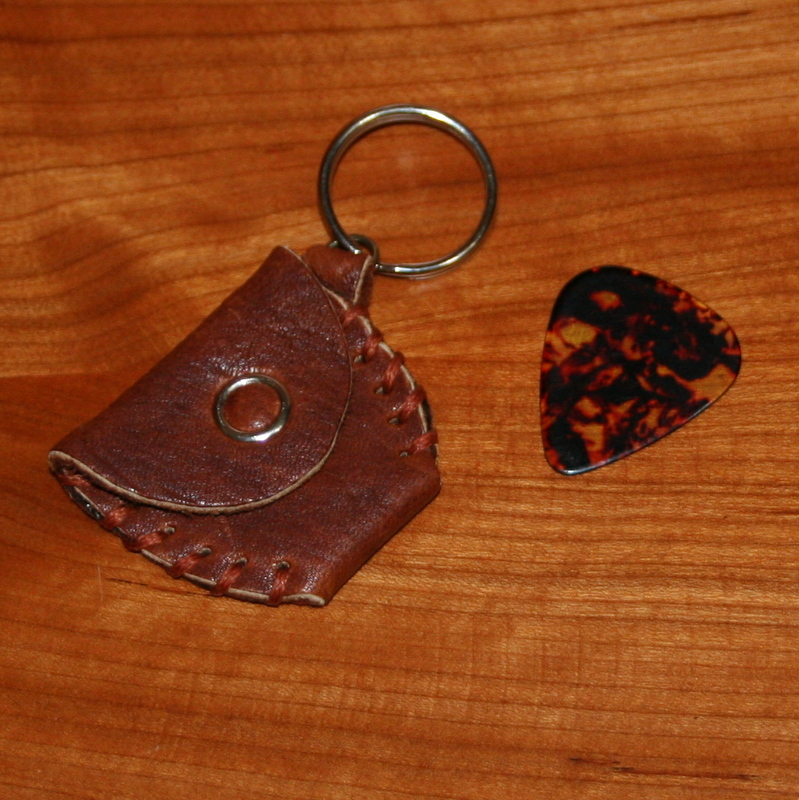 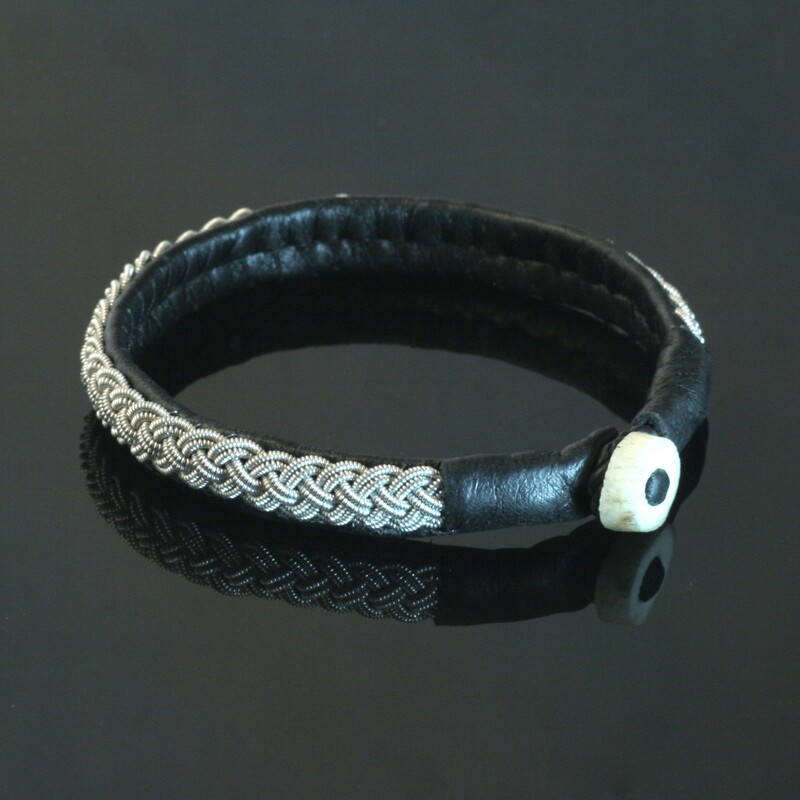 It is created using traditional pewter coiled thread, black reindeer hide and a naturally shed reindeer antler button and loop clasp. 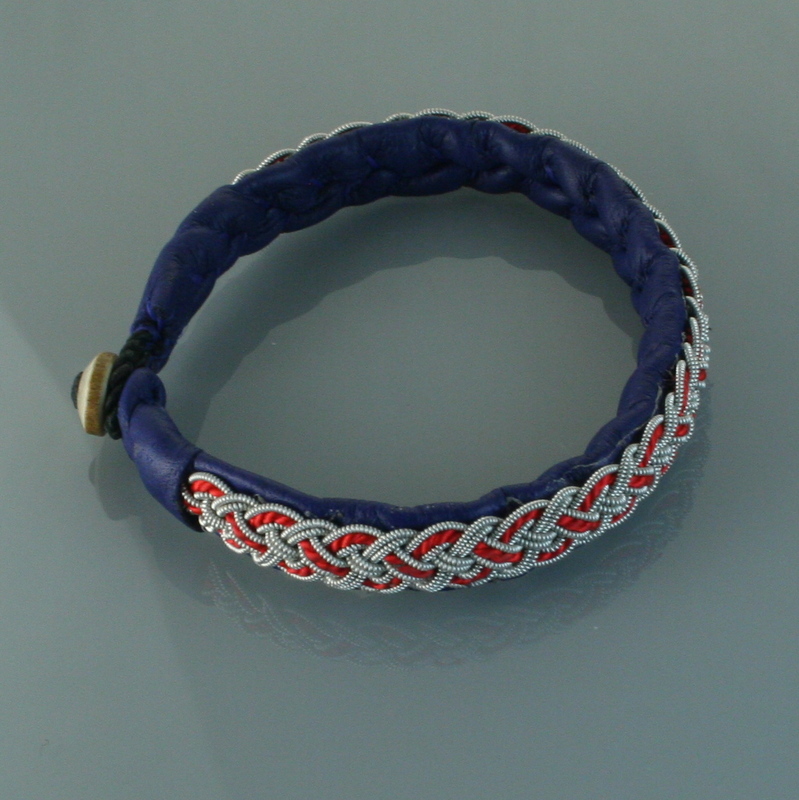 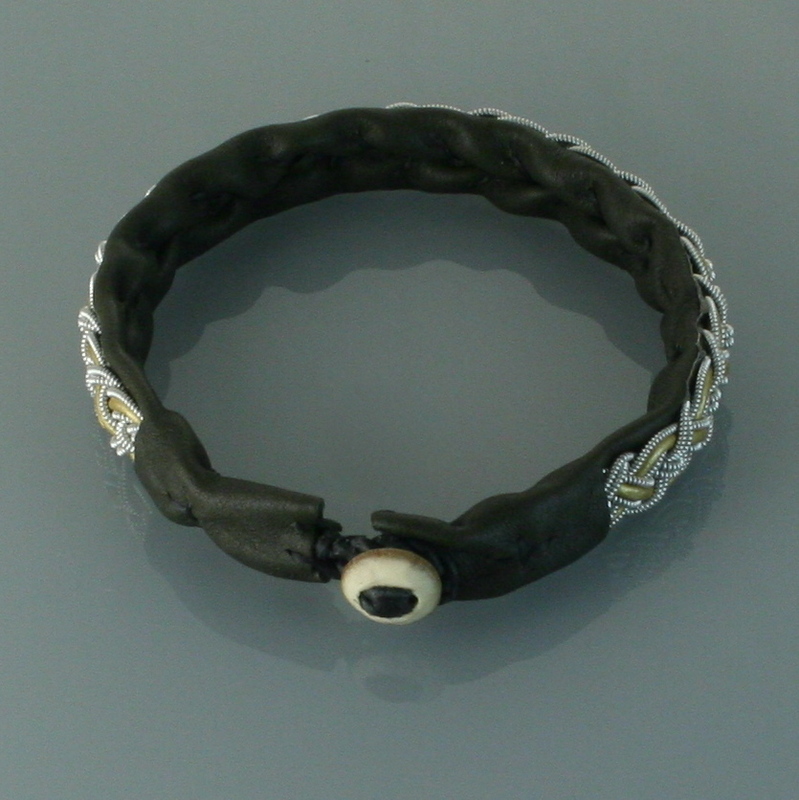 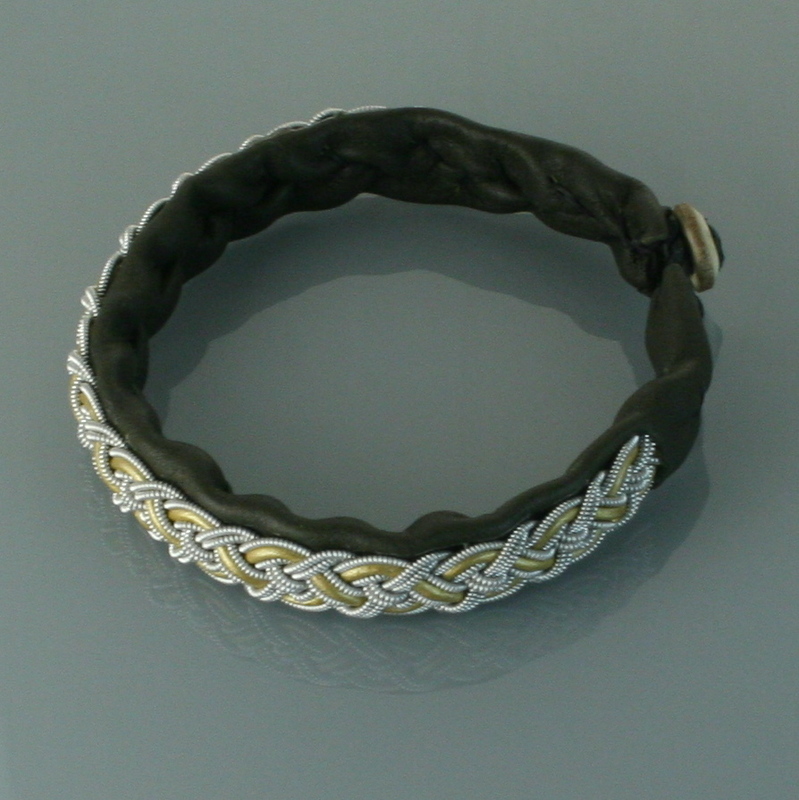 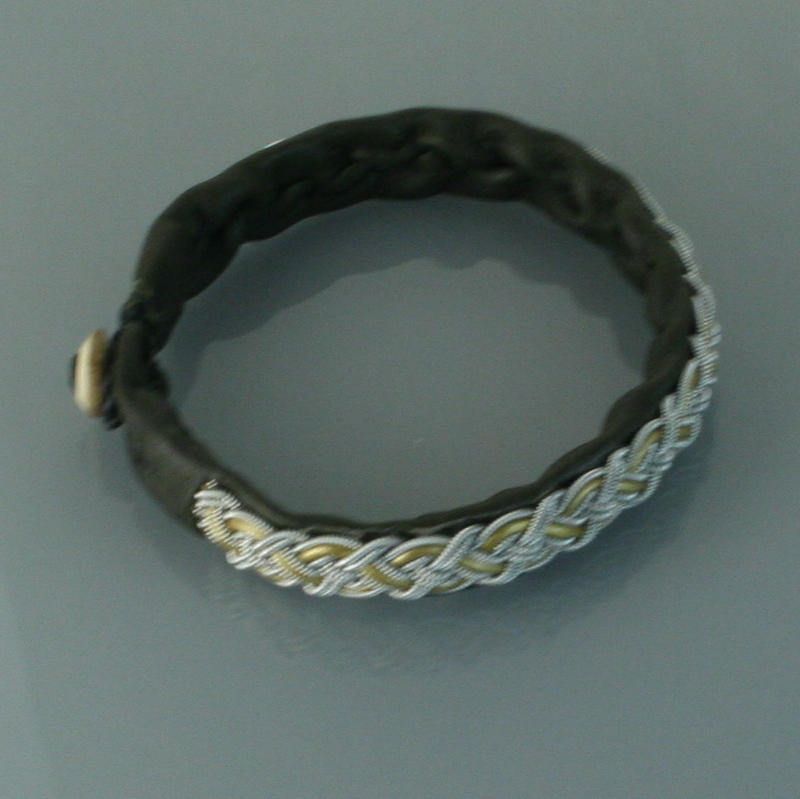 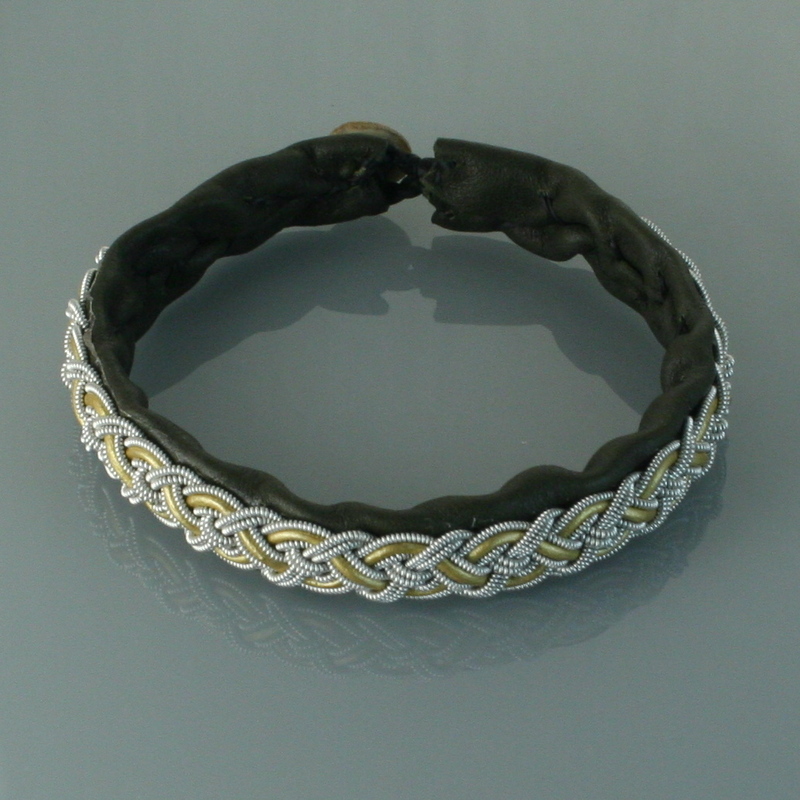 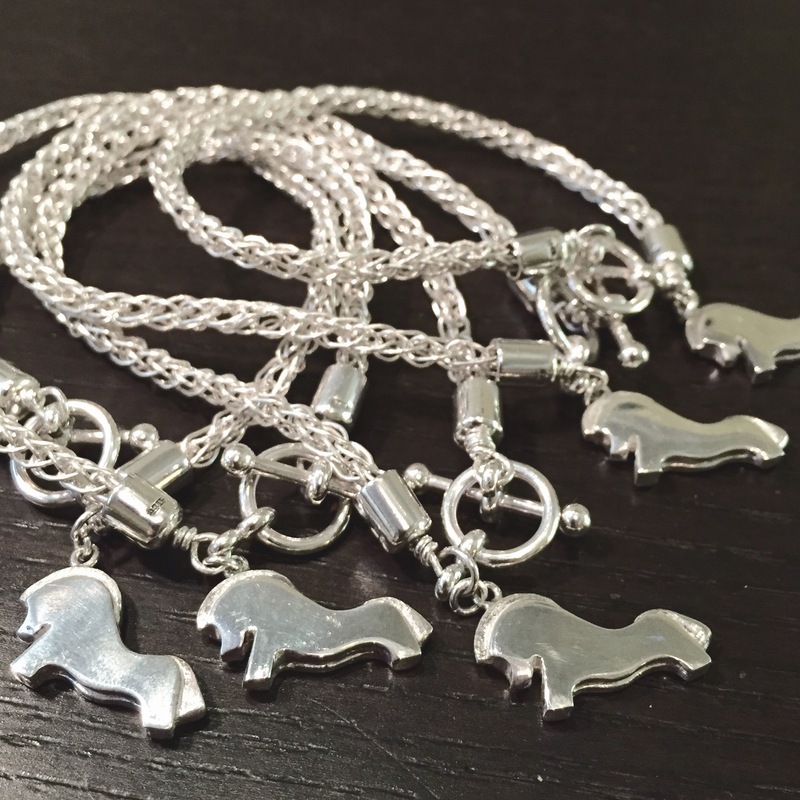 This piece drapes beautifully on the wrist and is fit for a Nordic god!